Hello! Things have been busy in the Jumbo Minds world – we thought it would be a good time to chat about why we do what we do. There aren’t many books that introduce science to children in an easy, straightforward way. Science literacy is low in the U.S. – how can we expect the majority of kids to embrace science if the majority of adults are inhibited by science? In these next few blogs, we’ll explore America’s global standing in science education, the impact of that on industry and innovation, the capacity of the human brain in early learning, and out of the box ideas that can be agents of change. When you compare America’s scientific education with other countries, where do you think the U.S. ranks? Most adult Americans would agree that we want our nation to excel in science and lead the global race in scientific advancement. Similarly, we want the very best academically for our children. However, to the disappointment of not only parents, but the nation in general, our kiddos are not surpassing their global peers academically in science. In fact, American students have only recently attained average scores in science, as compared with all other 71 OECD (Organization for Economic Cooperation and Development) countries/regions. So here we are, one of the most influential countries in the world, and our students have stagnated with unimpressively average science scores. Someone can check me on this, but I believe the U.S. has never even ranked above average. While nearly 25% of Singapore students are proficient in science literacy, only 1 in 10 are proficient in the U.S. Sooo . . . we’re NOT rockin’ in science here in the good ole’ USA. What do we need to do to change this? For starters, we can elevate the focus on science education in new ways. That’s what we’re trying to do at Jumbo Minds, by creating science books and products that increase science literacy in a straightforward and fun way. 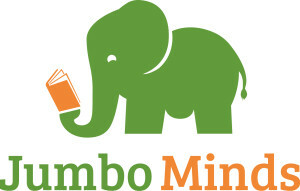 Take a look at Jumbo Minds’ Science ABC books. Check out Part Two of this blog series where we’ll talk about the impact of low science literacy on industry and the U.S. Share this article to help spread the word, and remember to connect with Jumbo Minds on social media for cool science facts!